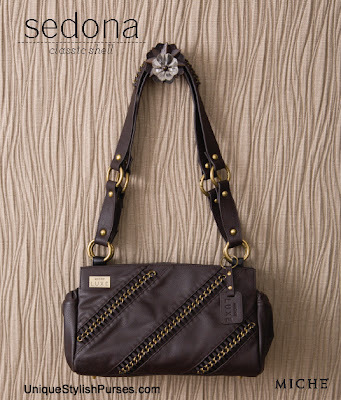 Subtly-textured faux leather in deep espresso brown gives the Sedona for Classic Bags an undeniable richness. Add in exquisite detailing—herringbone loops woven with antique brass chains—and you’ve got an incredible high-fashion look you’ll be proud to wear anywhere. Whether you dress her up or dress her down, Sedona is sure to attract admiring comments.